Recently constantly growing number of people who realize that the coming of our Redeemer Jesus Christ is very close. People think, studying prophecy and trying to discern different signs, whether biblical or unbiblical. On the Mount of Olives Christ talked about his second coming. He pointed out the special signs that will precede His coming. He commanded his disciples to watch and prepare. He showed what it means to wait for his arrival. Time is necessary to fill the hard work, not waiting idle. But it also stressed that His coming will be unprepared for the unexpected people, and that day or hour of His coming, we can not determine in advance. Matthew 25.13 - "Therefore watch, you do not know the day nor the hour." Matthew 24.36 - The day and hour no one knows - not even the angels of heaven, nor the Son - the only himself my father. Matthew 24,42-44 - why watch, because you do not know at the moment when your Lord will come. Consider - if the landlord knew, at that time of night the thief comes, he would have watched and would not let him break into his house. Therefore be ye also ready, for the Son of man cometh at an unexpected moment. Matthew 24,33-34 - the same way, when you see all these things, know that it was coming, it's already at the door! Verily I say unto you, that that generation pass away before all this happens. Revelation 22.7 - "Behold, I come back! Blessed is he who keeps the words of the prophecy of this book. " Do not be so deceived. If you have heard that Christ comes at a certain date, you must know that this is in contradiction with the Bible - His Word. Satan, who wants to imitate Christ's coming and confuse mankind will indicate the dates of your arrival, and people are enthusiastic but deluded. You know what prevents him yet? He may appear to be because at any given time. The secret of this wickedness, but it works, just waiting for it to disappear the obstacle. - 21 October 2011 has by God Camping instantly killing three percent of people, or about 200 million people. 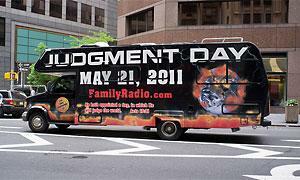 Camping claims that the Bible conceals hidden calendar, from which calculated the exact date of doomsday. One unsuccessful attempt to determine the doomsday, no camping this year and had a 21st May 2011. In the pictures you can see how crazy this action accompanied. 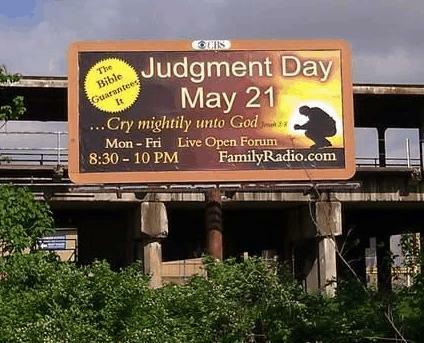 - December 21, 2012-This Mayans predicted the end of us. The world as we know it ceases to exist according to them three days before Christmas Eve. Stroke of midnight the calendar skips the first time in five thousand years back to zero. - The so-called Christ, Maitreya has said more than 30 years, operates the world yet unrecognized, in a physical body here on Earth. News of his arrival serves Creme, a British artist and Esoterik. But the so-called Christ not only in contact with him, appeared to have many people to help them, said the hope, courage and encouragement in difficult moments, or to confirm and strengthen their faith. Such cases are happening all over the world, in the Czech Republic. Currently, the world extensively spread hope and a sense of expectation that, if enough people take it, to Christ and begin to speak publicly of his apparent mission. This important day, as the expected date of the Declaration, is fast approaching and it is important that it was ready as many people as possible. Its task is to show mankind the path of the current unsatisfactory situation and to establish the age of Aquarius - the so-called Golden Age. These verses clearly warn against this wicked, who pretends to be God and determined the exact time of public wants to get out and ride mankind from the Bible and from the One true God. 2nd Thessalonians 2,1-7 - And now about the coming of our Lord Jesus Christ and our gathering to him. 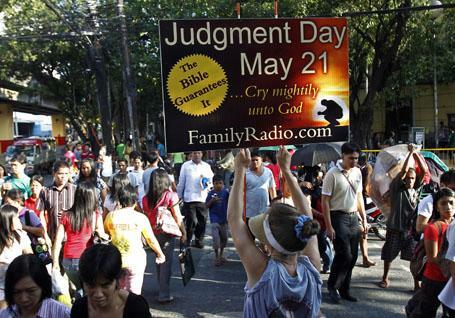 Brothers, please do not be so easy to take on the extent and alarmed, whether prophecy, preaching, or by letter (supposedly from us), said that day the Lord has come. Let no man deceive in any way. Until that day comes, must come from God avert. They must discover the wicked curse and who will oppose and exalt himself above all that what it says and what God is worshiped. Settle down even in God's temple and will issue a God! Do not you remember how I told you when I was still with you? You know what prevents him yet - they must be had to appear at any given time. The secret of this wickedness, but it works, just waiting for it to disappear the obstacle. As the crowning act in the great drama of deception Satan himself will impersonate Christ. The Church long argued that looking to the Savior's coming as the culmination of their hopes. arch deceiver now cause it will seem that Christ came. In various parts of the country to Satan himself appears between people as a majestic being dazzling splendor, resembling the description of the Son of God, as John describes in Revelation. Revelation 1,13-15. The glory that surrounds him, can not be overcome by anything that mortal eye has seen yet. The air carries triumphant cry: "Christ has come! Christ has come! "People in front of him fall on his face in deep reverence, as he raises his hands and pronounces a blessing over them, as Christ blessed His disciples when he lived on earth. His voice is soft and captivating, yet melodic. Kind, compassionate tone teaches some of those noble heavenly truths which the Saviour uttered. Matthew 24,3.33 - "When you see these things, know that the time is near, at the door." Although no one knows the day and hour of Christ's coming, the Lord teaches us and encourages us to know when the appointed time approaches. 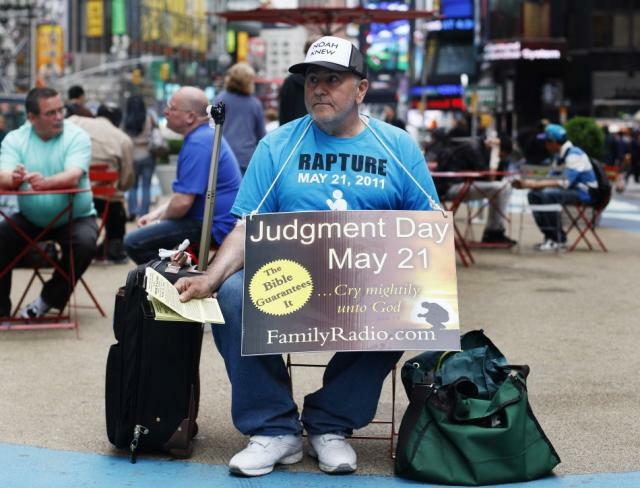 The Bible also teaches that Christ's warning not to take seriously and reject or ignore the approaching time of his arrival, for us it was just a tragic, tragic as it was for the contemporaries of Noah, they did not know where the flood occurs. The apostle Paul speaks of people for whom the coming of the Lord Jesus comes unexpectedly. "Day of the Lord will come like a thief in the night. When they say" is the room's safe, "there is a sudden ambushes and escape destruction ...." For those who take seriously Christ's warning, he adds: "But ye, brethren, are not in darkness, that that day could surprise like a thief. You are all sons of light and sons of day. Not of the night or darkness." (1. Thessalonians 5,2-5) showed that Scripture does not excuse human ignorance, that the coming of the Lord Jesus is near. Jesus Christ with incredible patience waiting for you and I will be ready. Finally understand what it means to live with Christ every day, have a heart reborn, a holy law in our hearts. Angels still hold the four winds rush, rush of evil that engulfs our country in even greater horror, and whose results in the coming of our Redeemer. Jesus is waiting on you! Building too precious remaining time! 2nd Peter 3,9 - Lord is not slack to fulfill his promise, as some interpret, but is patient with you, because it does not want anyone to perish, but that all should come to repentance. Ezekiel 33.11 - Tell them: As I live, saith the Lord GOD, I do not want the wicked die, but to turn from his way and live. Turn away, turn from their wicked ways! Why should you die, O house of Israel? " Get ready, because fulfilling the signs say that time is short! 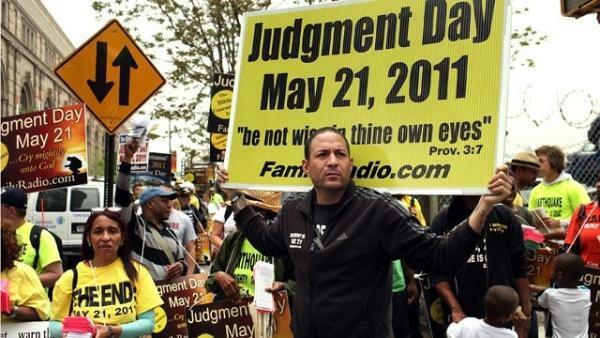 AmazingHope.net - We can determine the end date of the world and the coming of Jesus Christ?